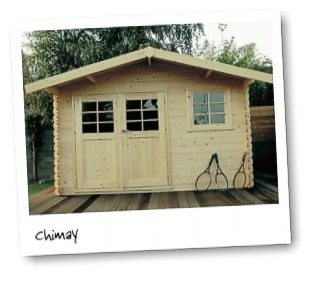 The Solid Chimay Log Cabin is available in heavy 28mm thick Nordic white pine, with interlocking log walls. 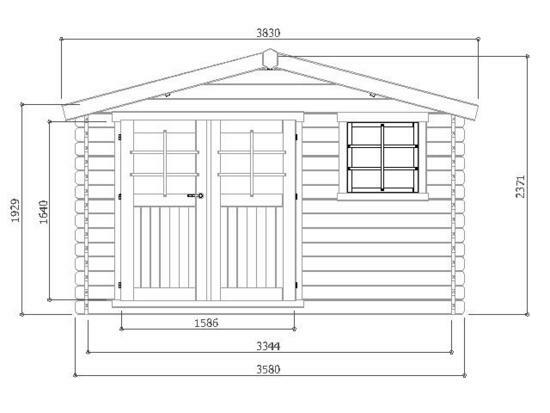 It is supplied with fixed windows fitted in the double hinged door, a window on the front, and a 300mm overhang. The sizes quoted above are external wall-to-wall dimensions, including the corner projections. 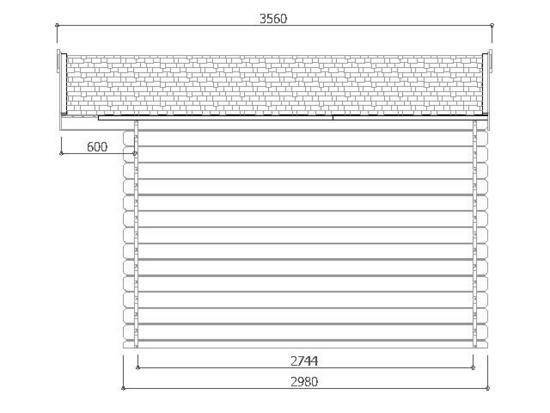 The extreme external dimension to the roof is 3260mm x 3814mm, and the internal size is 2744mm x 3344mm.